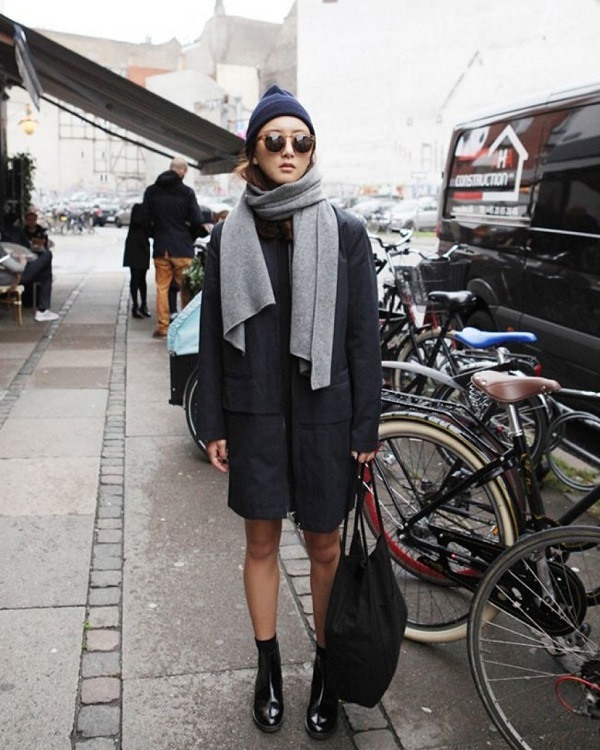 Pros and cons of bare legs in winter… Where does this trend? Winter is a season enigmatic, always expected to be born from the great centers of production fashion a new trend, a new way of life. The winter 2016 has brought with it a new wind coming from the streets of New York: they are the “bare legs“, a tendency for which no use is made ​​more use of tights. “Bare legs” is the literal translation, bare legs like crazy. One thinks of a movement of affirmation of power and feminine power, energy and sharp in point of youth, freedom to regain possession of her body and to use it for all seasons and found that candor that for so long had been concealed. The legs bare in the winter does not indicate that you cannot afford the tights but rather the opposite. You can afford not to wear them. No protection from the cold, the snow does not scare. Certainly more black women are facilitated, with dark skin, which do not need self-tanners or long beach holidays in order to discover the season colder, as opposed to all those women who have the clear complexion as the moon. The idea of bare legs began with the fashion of jeans with rips. Before the major manufacturers of denim would propose a wide range of cuts, washes, or look “used”, there were jeans with holes in the knees, the first form of customization of denim. They evolved, then, in tears growing up to discover a large part of the thigh or leg, depending on where it was the height of the cut. Until you no longer need the jeans. To date, her bare legs in winter are a must with high boots or above the knee. To frame the bare legs are the shorts, skirts and dresses of any fabric, from lightest to heaviest. Or, alternatively, in place of the high boots above the knee, long stockings always above the knee that streamline FIG. Or again, legs (completely) naked décolleté with the foot or ankle boots. I’m so missing all those problems that afflict women who wear, even today, the tights. But what are the “pros” of bare legs? The cons, like all fashion trends, there are and there will be. Like the shiver in every breath of wind, goose bumps and the purplish-anemic legs.